Lace Leggings, color tights, and over the knee socks on display at Face Hunter. 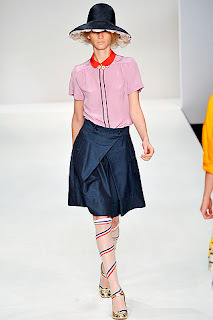 Also, Trend de la Creme has an interesting post about sock garters as a trend on the runways - how do you feel about them? 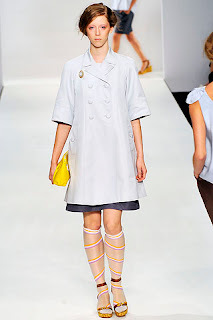 London Fashion Week continues with further proof that the official legwear trend of Spring '09 will be knee socks, preferably sheer knee socks. All images from Style.com. 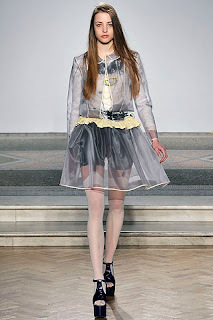 Louise Golden used sheer scrunched looking capri leggings, similar to our extra long leggings but cut above the knee. This could be a fun DIY project come Spring. 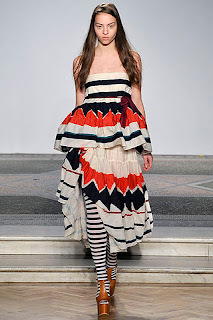 New York is over and London Fashion Week has begun. 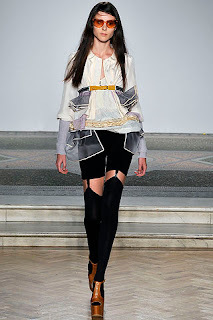 Check out some of these great legwear looks from Charles Anastase including slouched socks, sheer stockings, stripes, opaque stockings and basic black tights. All photos from Style.com. Poll Results: What kind of Pantyhose are you wearing? 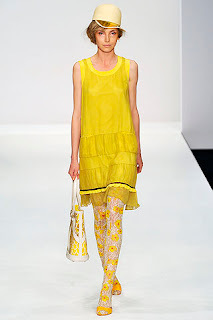 On the runways and on the street we've seen a lot of shredded, ripped and slouched stockings, socks and tights. We'd like to know - are you wearing these styles?